Going out to eat? Is your work conducting a United Way campaign? Want to honor someone, or celebrate a special occasion? You can do all this online with your PayPal or credit card! 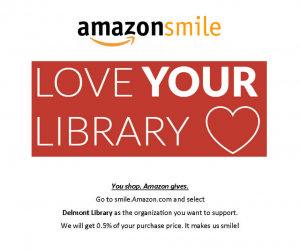 Buy King’s or Lamplighter Gift Cards at the Delmont Library at face value. We get 20% of your purchase. Buy a $10 card, we get $2.00! Purchase some for you, and some to give as gifts. Gift cards available in $10 increments. Don’t forget:, The Lamplighter has great pies, too! The Delmont Public Library’s United Way number is 1603. Make a donation to your Local United Way Chapter. Thank you for your support! Donate with your Visa, Mastercard, or Discover card. 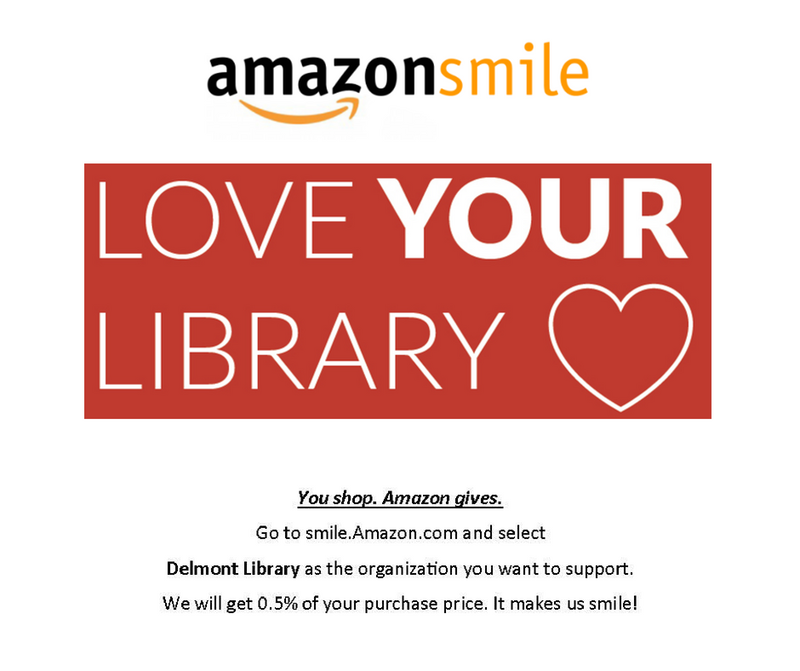 Go to smile.amazon.com and select Delmont Public Library as the organization you want to support. We will get .05% of your purchase price. That makes us smile!